Drawing on traditions of group portraiture at public street parties, Melanie Manchot’s new work explores individual and collective identity through photography and film. 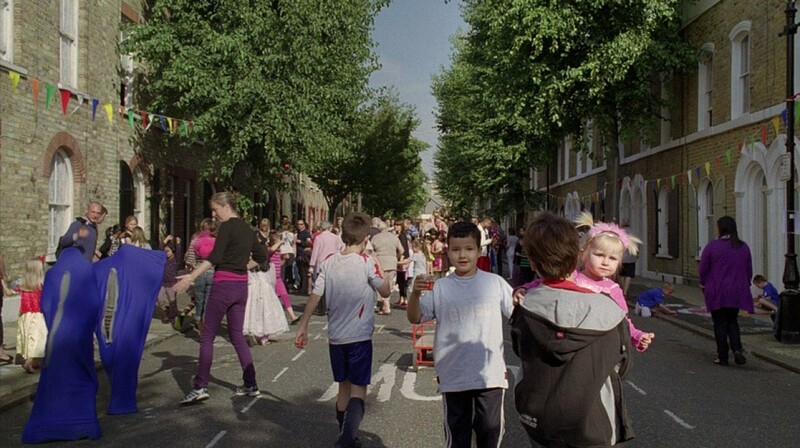 For this commission, Manchot has worked with residents of Cyprus Street, east London, to hold a street party and make a new film. She documents this event with a single tracking shot, capturing residents as they gather in front of the camera. The film bridges still and moving image, to look at the process of forming and dissolving a group portrait. It asks questions about what it means to form a community: both through the collaboration between residents and artist for the party, and in the relationships captured on film among the participants. The film is shown alongside a new series of photographs made with the residents and a display of archive footage of street parties, such as peace parties in 1919 and 1945. Celebration (Cyprus Street) is part of the Gallery’s Education Programme, which commissions artists and explores the relationships between the Gallery, public spaces and community. Melanie Manchot is a London-based artist working with photography, ﬁlm and video. 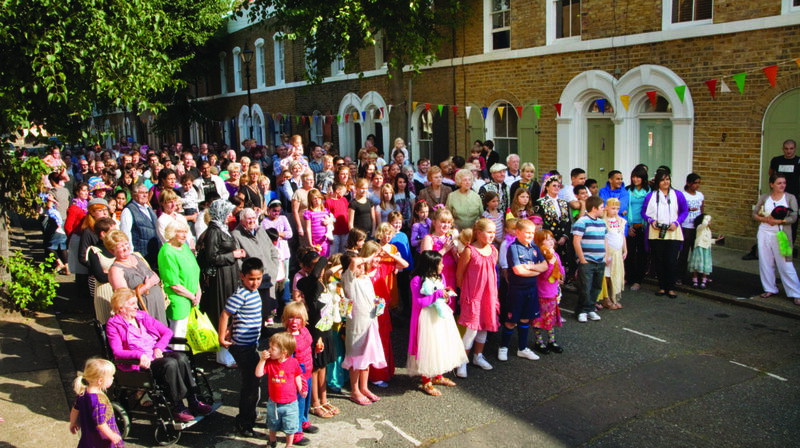 Celebration (Cyprus Street) is commissioned by Film and Video Umbrella and funded by Film London (Digital Archive Film Fund), and Arts Council England.